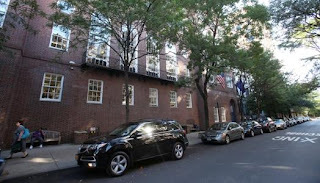 James MesserschmidtGOSSIP:The Nightingale-Bamford School on the Upper East Side, model for "Gossip Girls." The exclusive Upper East Side Nightingale-Bamford School for girls has been rocked by scandal after married teacher Jonathan Fuller was suspended amid allegations he had an affair with a student, The Post has learned. 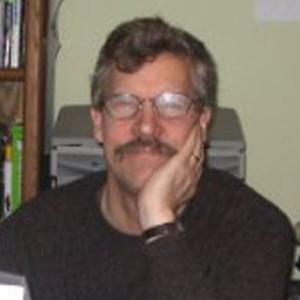 The popular, 55-year-old science and psychology teacher was hauled out of class Friday after a complaint was made that he was allegedly involved with a former pupil who is now “18 or 19” years old, according to several sources connected to the school. “They canceled his classes and pulled him out,” said one source. The school’s headmaster appointed an independent investigator to probe whether the teen was underage when the alleged relationship began — and whether the teacher had affairs with any other young women, according to sources and a letter sent by school officials to parents. “A complaint was made about him having an affair with a former student, but they are investigating if he has been involved with any other students,” a source said. The investigation could lead to his being fired, documents show. Fuller’s dramatic removal — just two days into the school year — stunned parents and staff at the elite Upper East Side academy, which costs nearly $40,000 per year and is the model for The CW’s “Gossip Girls” television show. Daughters and relatives of the powerful Tisch and Bronfman families, as well as the children of movie mogul Harvey Weinstein, have attended the school. Fuller’s suspension was revealed in a letter sent Friday to parents from Nightingale’s new head of school, Paul Burke — the institution’s first male chief. “I am sorry to have to tell you that this morning I suspended an Upper School faculty member in light of reports received over the past two days that, if true, describe behavior that is not only inappropriate, but also completely inconsistent with our rules and values,” Burke wrote in the three-paragraph letter. The letter did not name the teacher or the specific nature of the “inappropriate” behavior. But Fuller, who was on sabbatical in the spring 2012 semester in Colorado, was named by school officials during a staff meeting yesterday to discuss the brewing scandal. He wasn’t in school yesterday, students said, and his name, fall class schedule and syllabus were scrubbed from Nightingale’s Web site. He was a favorite among doting Nightingale students. Some girls went so far as to create fan pages for him on MySpace and Facebook. “What’s your fave thing about him? Comment PLZ,” read one such post. In 15 years at Nightingale, Fuller, a former dean of students at Connecticut’s Woodhall School, gained high marks from parents, too. He lives on Long Island but was almost always at school by 7 a.m. to give students extra help and mentoring, sources said. From Betsy Combier: I and my twin sister attended Nightingale 1st to 12th grade, 3 of my 4 daughters attended NBS elementary school.